1.Time saving. It often goes unnoticed but there is an extremely large amount of work to plan an event. Hire an event planner to arrange everything from booking the venue, determining styling and decor, dressing the room for a theme, sourcing and booking entertainment, stage management on the night, designing invitation, managing RSVP’s, sorting table and seating arrangements, observing talent bump ins and sound checks…. breath!!! It can be difficult to navigate all this around family and work life. 2. Organised event. The difference between a DIY event and professional event planned event is obvious. The smooth process and finer attention to detail and the smile on your face says it all. hire an event planner so yo can relax and enjoy time with your guests while the professional run the show and deliver the event you have dreamt of. 3. Cost effective Solutions. Event planners are given a budget and have no choice but to obey it. They also know how to appropriately cut costs and save money, as well as areas you simply can’t skimp on without effecting the event outcome. 4. Contracts. Contracts are time consuming and difficult to understand if you are not familiar with “event” jargon. Errors in this area can be costly and create massive headaches no one wants! Leave it to the event planner to make sure everything is in order, appropriate public liability insurances are in place, and you and the event can go forward in confidence. 5. Attention to detail. When planning a corporate event there are certain expectations by the ‘stake holder” who ever is paying will want to see the event delivered to the standard they expect. Event planners have done it all before and understand important it is to get it right. 6. Use the correct marketing tools. Event planners have all of the connections, knowledge and tools to promote a successful event. They know the perfect time to send out invitations, post a blog and tweet any relevant information. Hire an event planner to create ease of delivery. 7. Corporate themes. Looking for a fresh and vibrant theme? Event planners know how far to push the boundaries without losing the corporate feel. They are the new black. 9. Meet deadlines. It’s an event planners job to be organised. They certainly don’t leave any outstanding work to last minute.They prioritise the event timeline, so details and elements of the event are confirmed at juts the right time! 10. Appropriate entertainment. Event planners have a knack in choosing the perfect entertainment. Whether you need a corporate cover band, solo artist or MC. 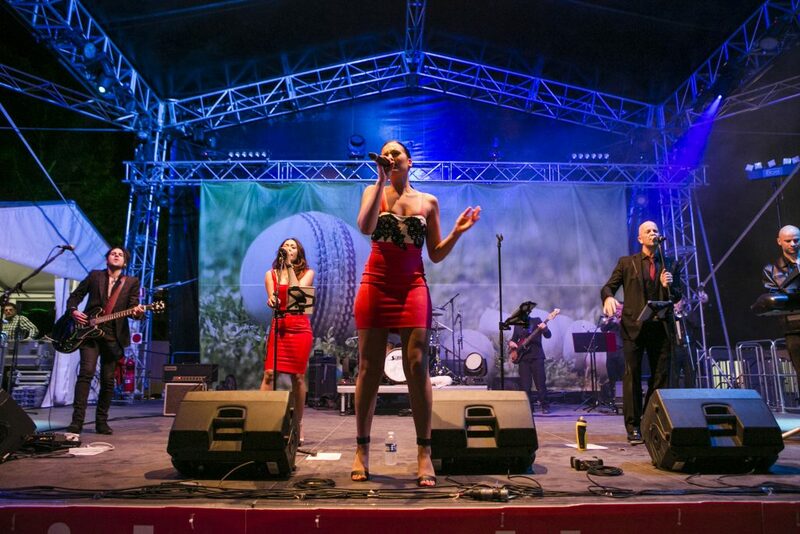 They know who to go to for the right corporate entertainment for your corporate event. 11. Nothing is missed. With a lot of events there is always something getting left behind. Event planners have systems to cross check the load in and bump out, to ensure all items are removed at the end of the event. Often this will be done in conjunction with traffic management and a loading schedule, to ensure all the suppliers trucks don’t land in the loading bay at the same time. 12. Preferred suppliers. In the events industry it is difficult to find trustworthy and reliable suppliers. Experienced event planners already have these suppliers on speed dial and there is no need to worry if the AV sound technician will rock up to work. Event planners always have a plan B in place. This entry was posted in Conference, Corporate Events, Corporate Events and tagged corporate entertainment, Corporate Events.